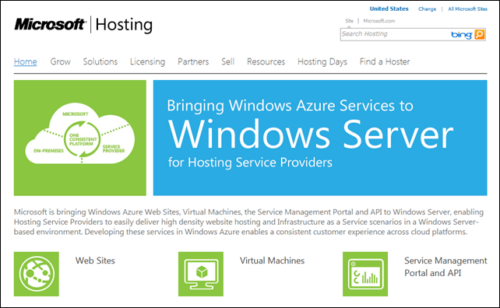 If you’re looking for hosting for your new website, you may be deciding: Windows or Linux? Whatever you do, don’t make a split decision. Switching further down the line can be a hassle. Each OS have their strengths and weaknesses. This article will explore these differences in depth. 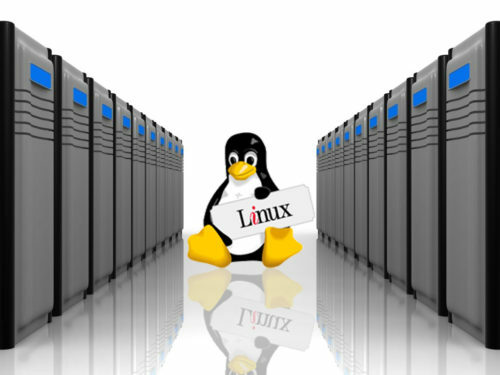 If you do some reading around the web, you’ll find that Linux is more popular for hosting. Initially, I agree with the general public. I love open source software (don’t we all love free stuff?). The hosting itself is also cheaper. Linux users do make some interesting claims. Some say Linux has better security. Some say Linux is more efficient. Well, we’ll find out soon. The first thing to note about Windows OS is that it’s not free and the hosting is more expensive. But Windows does offer great support. The main difference between the two is the software compatibility they offer. According to your needs, you may need one or the other. Windows offers software that doesn’t run on Linux, and vice versa. Let’s take a look at a few areas of difference. Linux users claim that it’s more secure than Windows. This is true, but not because of anything Linux did right. The problem is that Windows is more prone to attack than Linux. Perhaps hackers like to attack software they understand. Maybe it’s the fact that Windows has more users on the PC side of things. Either way, it’s a fact that Linux offers better security, even though the two have the same vulnerabilities. The most important factor, when it comes to security, is your hosting company. Make sure to choose a good hosting company with great security capabilities. The right hosting company will do everything they can to protect your site from attackers. Windows releases updates about once a month. Critical updates, however, can come at shorter intervals. When a problem in Linux occurs, the developers find and patch the problem almost immediately. This is due to the large network of Linux developers around the world. So in a nutshell, Linux is more stable. Windows is more expensive than Linux, without a doubt. The OS itself is a big indicator of this. While Windows do sometimes have free promotions, it’s generally expensive software. Linux is free, and Linux hosting is cheaper than Windows. And that’s without programs like Windows Exchange, which add to the cost. If the price is a pain point for you, then you’d be better off with Linux. Linux is convenient and user-friendly. Windows isn’t. But most people have been using Windows for so long that they’re used to the issues that come with it. A new operating system could have a learning curve for these types. If you’re in a hurry and don’t have time to learn a new operating system, sticking with Windows is a viable option. But you don’t have to install Linux on your PC to get a Linux host, so the impact may not be that bad. Chances are you’ll switch to Linux eventually. You’ll want the more stable and secure environment. But keep compatibility with your favourite applications in mind. Make sure you know which apps, languages and frameworks can be used with each hosting system before making a decision. If you use or plan on using a certain software, you need to be sure it’s compatible. Windows can use ASP.NET, MSSQL, Visual Basic and more. Linux uses SSH and Apache modules. In case you don’t know, the web panel is the way you access your website’s back end. cPanel is a very popular. Most users agree that it’s easier to use, cheaper and better than its rival, Plesk. Plesk, on the other hand, offers a cleaner interface. On the VPS side of things, Plesk can also be cheaper. cPanel is only available on Linux, whereas Windows uses Plesk. It’s not a major point (at least not to me). But it’s advised that you take a good, in-depth look at the differences between cPanel and Plesk. The one you choose will influence your decision when it comes to hosting. This is no biggie. Both OS use FTP for file transfer on the hosting level. But Telnet and SSH are more commonly used on Linux. They’re compatible with Windows, but it’s far less likely that an admin will install them. If you don’t know what FTP, Telnet or SSH are, we’ve got comparison articles that explain (and, naturally, compare). Check out difference between FTP and Telnet, and difference between Telnet and SSH. What are you planning on doing with your website? What tools do you plan to use? These are important questions. Some want to start a blog; others want to start a fancy e-commerce site. The answer can greatly help your quest for an answer. According to David Scholl, Webhosting Manager at 5Hoster, different goals require different OS. You should definitely check David out. He’s super helpful on Quora and he knows what he’s talking about. He says that WordPress, Magneto and Joomla all run better on Linux. Umbraco, nopCommerce and BlogEngine run better on Windows. But almost all the Linux apps can run on Windows, too. So it really depends on what you want to do. Spend some time figuring out which operating system would best suit your needs. Support can make or break a company. Windows has world-class support. Linux has none. When I say “none”, I mean that Linux don’t employ any support agents (not that I’m aware of). Their model is community-based support. And it works well. There are entire online communities that know their stuff. And they’re always willing to help out. Alternatively, you can rely on the support of your hosting provider. Some hosts have excellent support. This is a small and seemingly insignificant difference, but repercussions could be huge. Linux servers are case-sensitive, and Windows servers are not. For example, differencebetween.html, DifferenceBetween.html and DIFFERENCEBETWEEN.html are all different servers on Linux. On Windows they are all the same server. If you’re going to run Linux, you need to be careful with this. Your users could very easily miss a case letter and end up in the wrong place. That’s more or less enough to get you on the right path to choosing your hosting OS. They both have their good points and bad points. It’s up to you to decide. If you’re looking for personal opinion, here’s where I’ll weigh in. I prefer Linux. I’ve always loved the idea of open source software competing with paid software. And in a few fields Linux beats Windows. Just to be clear, I’m talking about hosting OS and services. When it comes to the OS on your PC, I prefer Windows. I’ve been using Windows since ’95 was released and I don’t plan on changing soon. It’s the effort of learning a new OS, as well as app compatibility issues, that keep me on Windows. I’m a gamer, and I doubt Linux’s gaming world is spoilt for choice. It’s more business software. But in hosting Linux promises more. The price point is a great pull for me. I don’t have absolute faith in the support system that Linux provides, but others swear by it. At the end of the day each person you ask will have a different answer to the question “why Linux” or “why Windows”. It’s up to you. Have you switched to Linux on your personal PC? How are you getting along? Are you an avid Windows fan just waiting to rip me a new one in the comments? Which hosting do you use and why do you love it? More stable and secure. Prone to attack and “blue screen of death”. Free, with affordable hosting. Licencing fees can be expensive, and hosting is more expensive than Linux. Convenient and easy to use, but could be confusing to Windows users. Made easy to use by years of popular usage. Compatible with SSH and Apache modules. Compatible with ASP.NET, MSSQL etc. Uses cPanel to access backend. Uses Plesk. FTP file transfer. Commonly uses with SSH and Telnet. FTP file transfer. Rarely used with SSH and Telnet. Generally better for blogging platforms. Generally better for e-commerce or big business. Servers are case-sensitive. Servers aren’t case-sensitive. Kyle Ferreira. "The Difference between Linux and Windows Hosting." DifferenceBetween.net. June 5, 2017 < http://www.differencebetween.net/technology/the-difference-between-linux-and-windows-hosting/ >.